Only few days left... We are eagerly waiting for the beginning of the journey of our new colleague and Sygic Traveler - Michal Gálik. Visiting beautiful spots all around the world is part of our DNA. And, as you already know, we want to share this experience with you via Sygic Travel VR, hoping that you´ll be inspired to visit all those great spots personally. Michal (26) was chosen out of hundreds of applicants to travel the world for one year and create inspiring 360° VR videos and photos. This young man from Slovakia loves adventure. As an experienced filmmaker, he has traveled many unusual destinations. He has observed mountain gorillas in Congo and also addressed the global problem of palm oil plantations in Borneo. 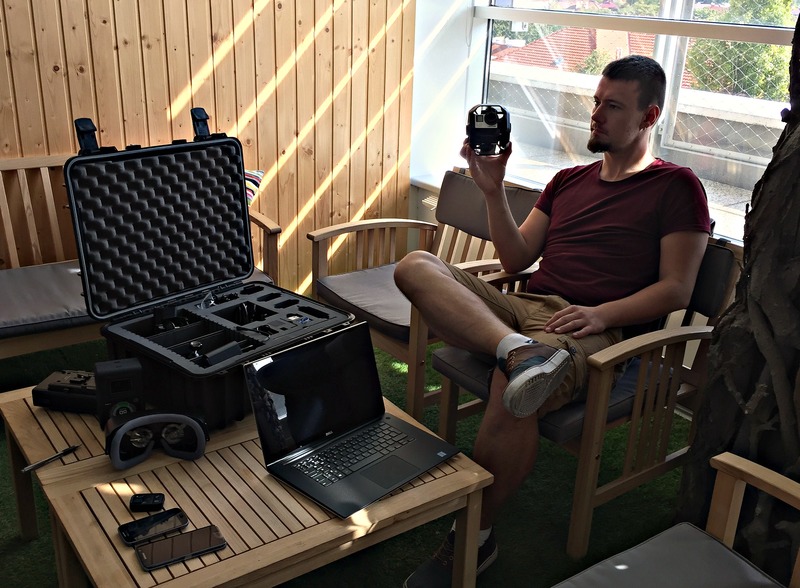 Now he is ready to start the Sygic Travel VR Journey and show you the beauty of our world. Let’s have a look... He looks a little bit overwhelmed. :) The most important thing is his GoPro Omni, which is a great camera to capture interesting places. The device is essentially a cube that holds six Hero4 Black cameras synchronized to act as one and lets you capture and create the highest-quality 360° VR videos. The adventure is about to start; Michal is on his way to Prague right now. We can’t wait to see his first 360° VR videos and photos. What about you? 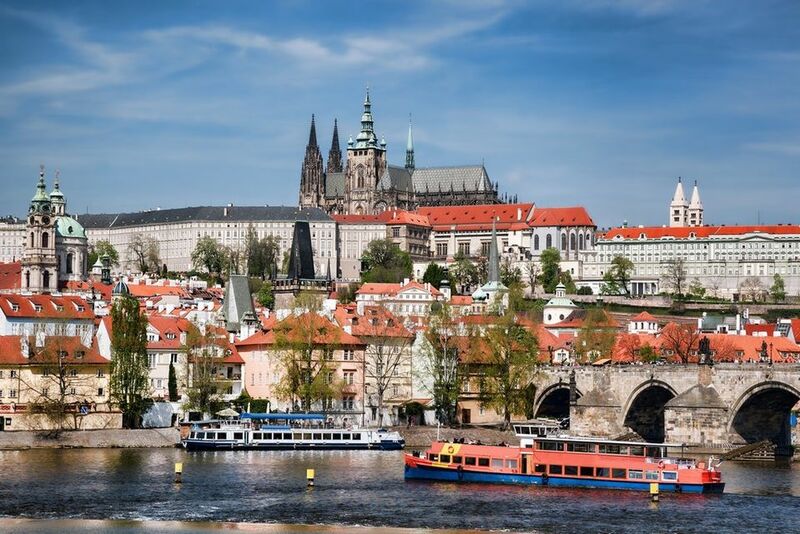 Did you know that Prague is the fifth most visited European city? As Prague is Michal’s home city, he will definitely show you the best parts of this amazing place. His next steps will bring you to the south of Europe with stops in Spain’s top destinations: Barcelona, Valencia, Madrid, Seville, Tenerife, then Portugal’s beloved Porto and Lisbon. Afterwards, he will leave the old continent to visit Morocco and its exotic Marrakesh full of narrow cobbled streets and lively markets. And you can accompany him throughout the entire trip. Do you have Samsung Gear VR with a compatible device (Galaxy Note7, S7, S7 edge, Note5, S6 edge+, S6, S6 edge)? Just download the Sygic Travel VR application, pop a headset on and travel with Michal. You can enjoy the beauties of these breathtaking places in virtual reality. If you don’t have a virtual reality headset, 360° videos of the most interesting sights from all around the world will be soon available in Sygic Travel web application. You can choose places you liked the most, put them into your travel itinerary and visit them for real. Happy virtual and mostly real traveling with Sygic Travel! Follow Sygic Traveler’s footsteps on Facebook.